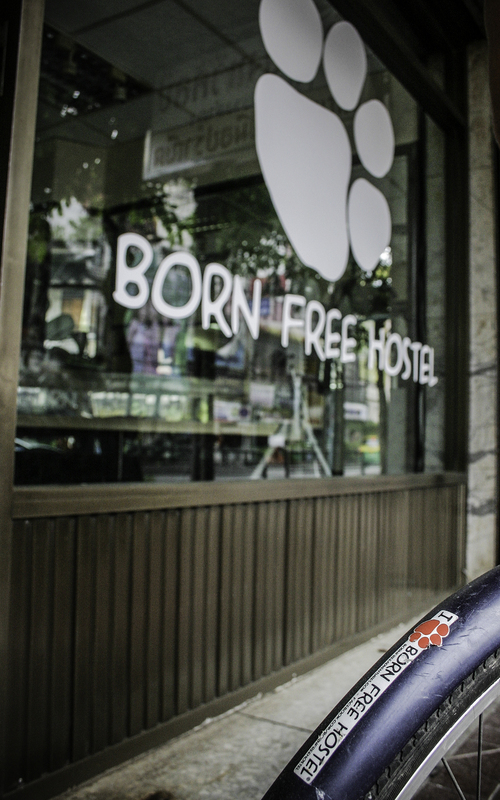 Born Free Hostel - Vista is located one block away from the Krung Kasem canal which joins with the Maha Nak canal below the Golden Mountain. It gives those who seek a little walking adventure through authentic Thai neighborhoods a perfect insight of untouched Thai relaxed lifestyle within the local communities. You will be able to experience the real friendliness of the locals which so often is overshadowed by tourist scams and businesses giving many the wrong impression of true Thailand. Once at the Golden Mountain, you may also take a canal boat on an exciting journey through the centre of Bangkok...the possibilities to explore around here are limitless! You may take a taxi towards Kao San area or Banglampoo. The Chakrabong/Samsen intersection is a very famous road so most taxi drivers will know where it is. The normal fare from the airport to the city is about 350 - 450THB/taxi and this should include your highway toll fees (~70THB). 3. From southern bus terminal: Take bus 516, 524, 30 towards Ratchadamnoen rd next to Kao San rd.